The 2016 Dallas Comic-Con has ceased to be. It has gone to meet the choir invisible. It’s an ex-Comic-Con for 2016. 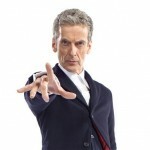 One thing for sure, however, is fans of Doctor Who left the Dallas Convention Center Friday night with two unforgettable moments embedded forever in their collective mind palaces which occurred during the “Tales from the TARDIS” Friday night panel featuring Peter Capaldi, Jenna Coleman and Michelle Gomez. Tellyspotting had the great good fortune to moderate the heavily sought after ticketed event. 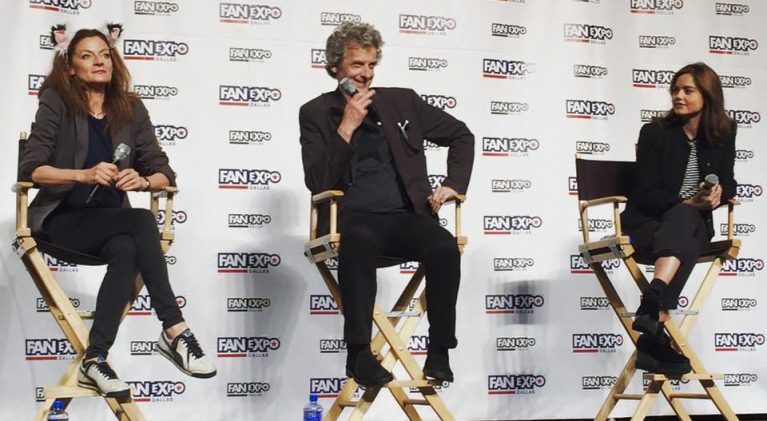 Following a few questions and more witty banter on stage than the law should allow, the arena microphone was turned over to the audience for a few once-in-a-lifetime bucket list opportunities to ask the The Doctor, Clara and Missy a question. The first Kodak moment came when a young Doctor Who/Peter Capaldi fan stepped up to the microphone with guitar in tow. 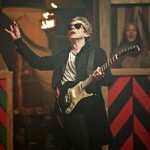 After asking how Peter was ever able to get his famous guitar playing on a tank entrance for the opening sequence of the first episode of series 9 (which Peter said he remembers suggesting it half joking and then, come to find out, the producers went for it), she nervously announced that she had learned a Dreamboys song (the 80’s Scottish punk rock band featuring Peter Capaldi on vocals and guitar and Craig Ferguson on drums). 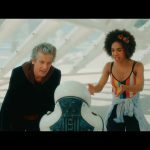 Much to the delight of Capaldi and everyone in the arena, she the proceeded to play and original Dreamboys tune, “Outer Limits”. It was greatness times ten. Sadly, no cameras caught the impromptu performance. The second priceless moment came when an even younger Doctor Who fan asked Peter if he could do the voice of a Dalek. What happened next was nothing short of video gold. Being onstage within a few yards of Peter, I can attest to the fact that no special FX were involved. There are no words to how great this was live…. Finally, two things were abundantly clear from my vantage point onstage. First, the chemistry between the three actors was truly amazing and every bit what you’d hope for. 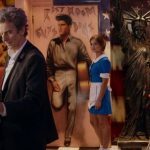 One can only imagine what happens during filming which, btw, Peter Capaldi confirmed that filming of S10 will begin in two weeks! Sadly, what happens in Cardiff, stays in Cardiff. The second bit of brilliance from the stage is that Michelle Gomez is drop-dead funny. If anyone doubts this, just do a quick YouTube search for Green Wing and watch a few episodes and you’ll understand where I’m coming from. All in all, an unforgettable bucket list night for all those in attendance that I feel extremely lucky to have been a part of. 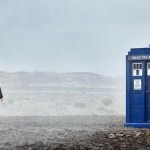 Have we seen the last of Clara Oswald? Maybe, maybe not.